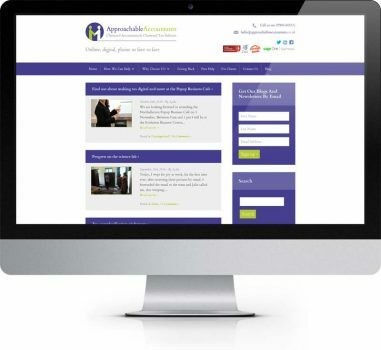 Approachable Accountants are a firm of chartered accountants and tax advisors based in Easingwold near York and London. 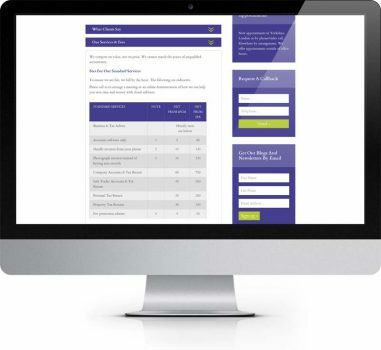 Approachable Accountants wanted a site that stood out from other accountants’ sites. Something that was engaging, easy to navigate and modern. The key value at the heart of the site would be the approachable and friendly nature of the site. 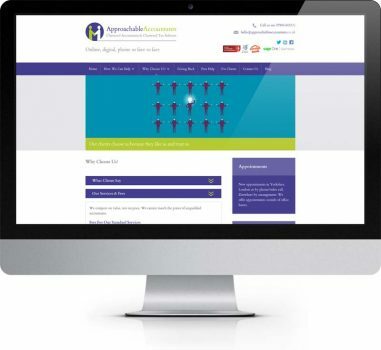 Approachable Accountants also wanted us to help with creating their logo, they had a clear idea of what they wanted and we were able to assist in graphically producing this for them. Approachable Accountants had found a series of images, all from the same illustrator which they were keen to use on the website, having these at hand to view before the website design process gave us a good idea of the type of style we were going to use. The images used bright colours and are very stylistic. 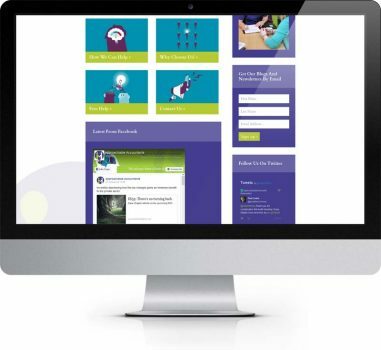 Having a consistent set of images within a website really brings it together, and helps to convey the feel of the brand throughout the website. Four key images were chosen to convey the firm’s values; clarity, ambition, individuality and togetherness. 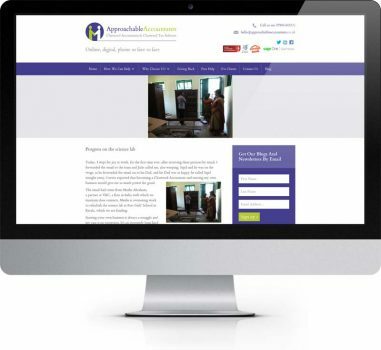 Approachable Accountants also commissioned a photographer to take some photographs of the team at work and their offices, which adds to the personal and approachable feel of the website. 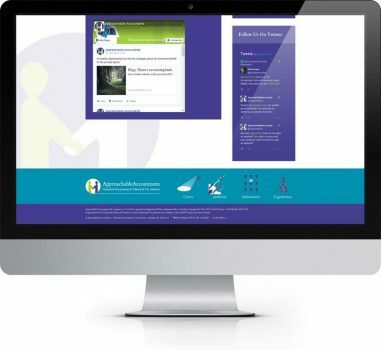 The logo produced had as the central image, two people shaking hands, the handshake part of this was the most important aspect as it was also to be seen as a supportive hand hold, and that Approachable Accountants would be there with you through the complexities of tax and accounting. 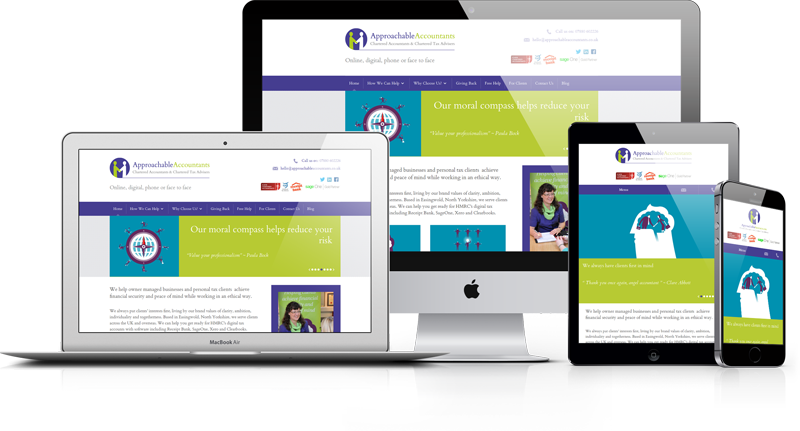 The logo uses bright colours and these colours were taken through into the site design giving it a modern and fresh feel. Colours from the illustrations selected have also been brought into the design to help tie everything together. We’ve echoed the logo in the background of the site to again subtly bring attention to to the handshake within the logo. 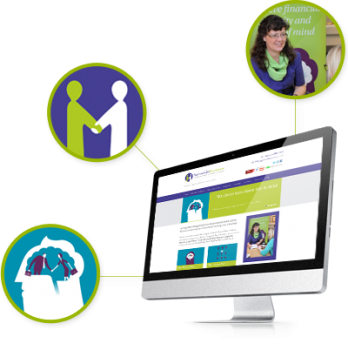 Within the footer of the site we see the use of the four key illustrations that represent the four key values of the firm. 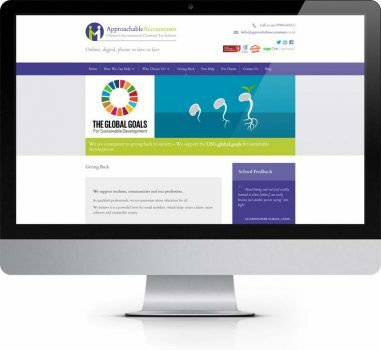 The team at Approachable accountants were keen for the website to work as a resource for their current clients as well as providing useful information on all aspects of tax and accounting. 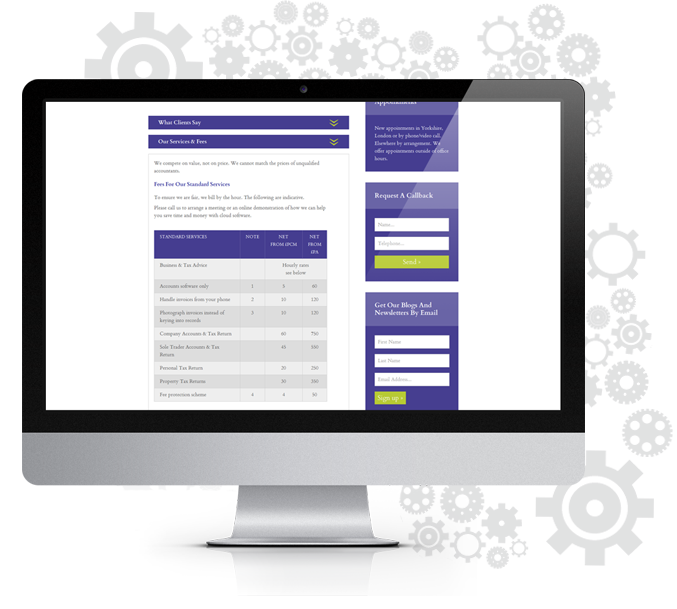 The ‘For Client’s’ section has many sections with useful documents to download as well as links to online payment portals. A blog has also been added for the team to add helpful articles and latest news. 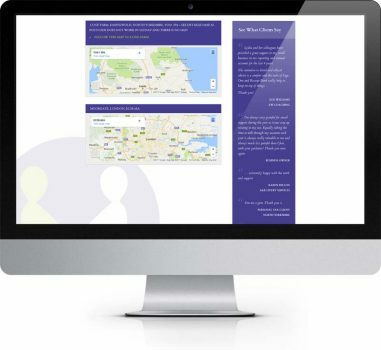 With whole sections of useful links, downloadable guides and useful information we needed to find a way to show this information in manageable chunks, without the need to navigate through many different pages. We decided to use expandable boxes in an accordion style (so if one box was open all others were closed), which would reveal the relevant information on click of a heading. 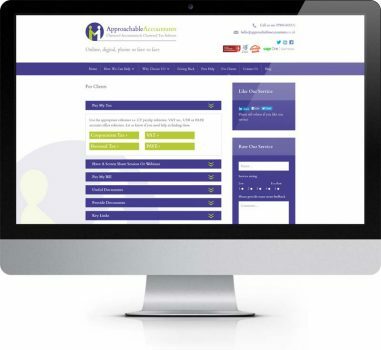 We really enjoyed working on The Approachable Accountants site and what’s more they’re happy too.